The House of Guards combine for 60 points tonight as the Wizards get back in the win column with a win over the Orlando Magic, 125-119. Ian Mahinmi, yes, Ian Mahinmi scored 17 points and grabbed eight rebounds while Marcin Gortat logged another double-double with 12 points and 11 rebounds. After an embarrassing effort just two night ago against the Utah Jazz, the Wizards started this one fast as they shot 67 percent from the field in the first quarter. The problem was, they had no interest in playing any defense as Orlando shot 70 percent from the field in the opening quarter. Once again, Bradley Beal had it going tonight. Beal ended the night with 30 but scored 23 points in the first half on 10-13 shooting as the Wizards led by just two, 65-63 at the break. With the lead seesawing back and forth in the fourth quarter, John Wall knocked down two straight jumpers from the elbows to stretch the Wizards lead to six, 119-113. Marcin Gortat set a screen for Beal but slipped it late in the game for the alley-oop and icing on the cake as the Wizards would close this one out. Remember those fourth quarter struggles we were talking about with Wall just days ago? Tonight he took over when the Wiz needed him most, in the fourth quarter on both ends of the court. After hitting two jumpers to stretch the Wizards lead to six, the Magic ran a play for Aaron Gordon in the post with Wall switched onto him. Gordon tried backing Wall down for the easy bucket but Wall met him at the rim, rejecting his shot. Moments later, the Magic got out in transition and would have cut the Wizards lead to three, however, Wall hustled back down the floor rejecting Jonathan Simmons at the rim. It took more than a calendar year but finally, finally, Ian Mahinmi turned in an outstanding performance on both the offensive and defensive ends for the Wizards. Mahinmi scored 17 points tonight, just two points shy of his career-high 19, and grabbed eight rebounds to go along with three blocks. Mahinmi stuck to what he does best which is only trying to finish around the rim with either a dunk or a layup and playing stellar defense. Half of Mahinmi’s rebounds, four, came on the offensive end which ended in second-chance opportunities for Washington. This is the Ian Mahinmi we could get used to. Orlando is a scoring juggernaut but tonight, they dropped 119 points on the Wizards on 51 percent shooting. Bismack Biyombo already had his career-high in the first half with 18 points (21 for the game) as the Wizards provided no resistance at the rim or in the restricted area. On top of that, Orlando shot a very respectable 41 percent (12-29) from three-point range and there were times when the Wizards defense made Aaron Gordon look like the next coming of Reggie Miller. They won’t be watching film for defensive strategies in this one, that’s for sure. 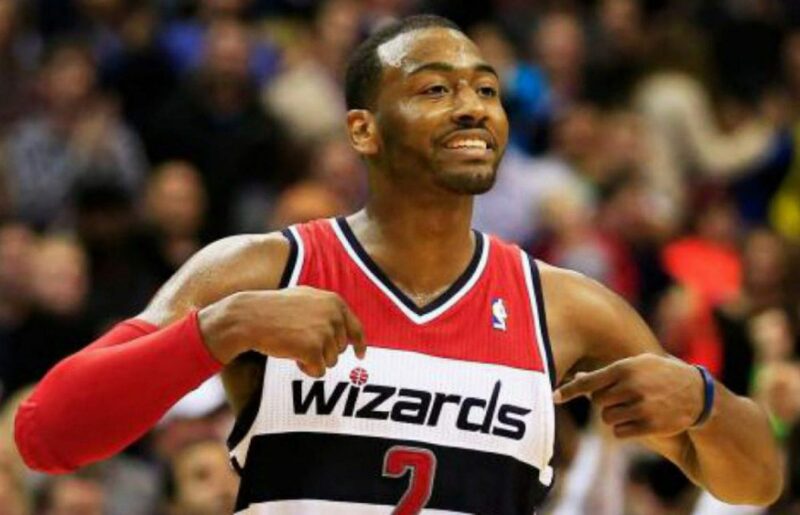 John Wall eclipsed the 10,000 point mark making him the fourth player in Wizards franchise history with 10,000 points. Bradley Beal notched his ninth straight 20+ point game of the season this evening. You know its an offensive clinic when the Wizards score 125 points while only knocking down four three-pointers.